This has always been the case for Disneyland. 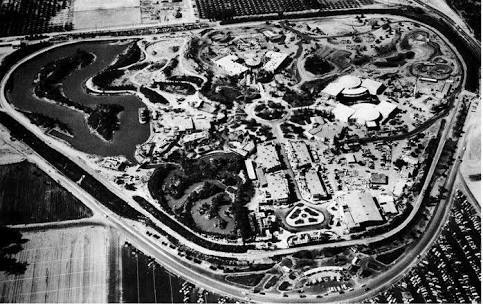 Attractions and rides have come and gone since the 1955 opening yet the heritage and basic layout have (aside from expansion) generally been preserved. 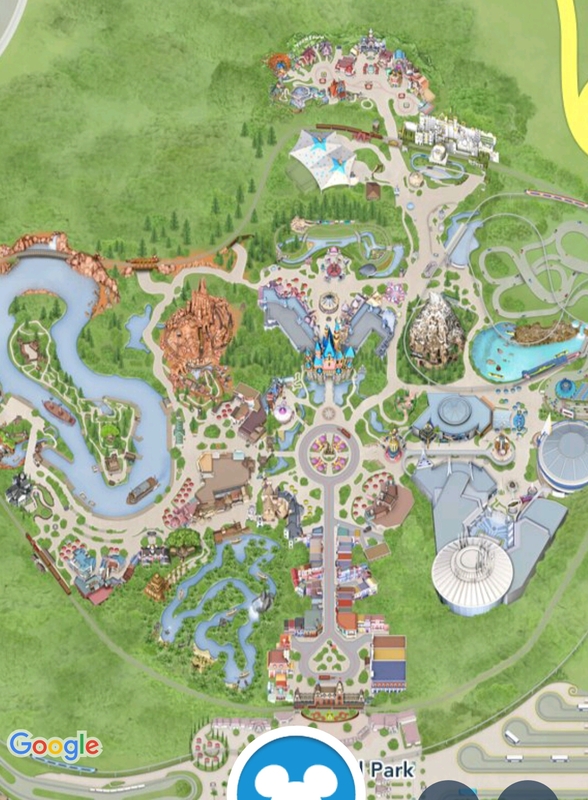 Currently, Disneyland consists of 8 major lands or themed areas. The round about looking area at the centre of the park (shown in both maps) is called The Hub; tying all areas together like the points of a compass. I will go through these lands briefly so you have an idea of what each area has to offer. Main Street USA is the first area you enter as you pass under the train station, into “The world of Yesterday, Tomorrow and Fantasy.” It pays homage to Walt’s Hometown of Marceline Missouri in 1910 and is probably the most unchanged of all the themed areas. Here you will find a large number of shops and restaurants, theatre type attractions and plenty of transport style rides. Straight ahead you can see Sleeping Beauty’s castle and the entry to Fantasyland. Apart from a major face lift in the 80s, and additional rides, the overall layout of Fantasyland has also mostly remained unchanged. Here you will find many of the classic rides; from Dumbo and The King Arthur Carousel to the Tea Cups and Peter Pan’s Flight. It is also a great place to catch your favourite Princesses, Princes and Villains. This area is predominantly aimed at family’s but people of all ages can find something to enjoy at Fantasyland. While, much of the theming at this land is no longer tomorrow but today, it’s still highly enjoyable. 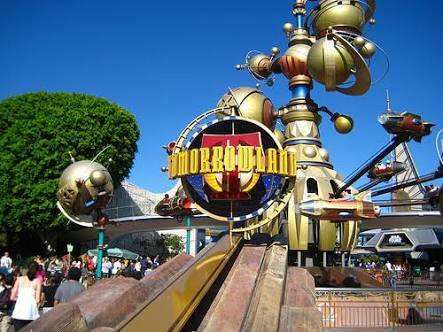 In Tomorrowland you will find a very “spacey atmosphere”, highlighted by the ever popular Space Mountain and Star Tours. It is aimed at teens and adults, but again plenty to see and do for all ages. Located west of The Hub, Frontierland is a step back into the era of Davey Crocket and the American Pioneers. It features a great array of attractions, theming and scenery and is always a good place to relax and stop for lunch or dinner. Most of the Attractions of this area are featured on or near the newly updated and picturesque Rivers of America, while Big Thunder Mountain Railroad provides the thrills. Frontierland has genuinely got something for everyone so it is hard to assign a specific age group. Really a great all round land! Nestled in the tranquil South west pocket of Disneyland, Adventureland does not take long to walk through but features two very large attractions: The Jungle Cruise and Indiana Jones Adventure. It has a very island jungle atmosphere and is famous for its landscaping. Adventureland also provides plenty of interesting options for shopping and dining, while Aladdin, Jasmine and the Genie are likely to appear under the Agrabahian Palace. A timeless land with plenty to do considering its square metreage. New Orleans Square ties in so seamlessly to both Adventureland and Frontierland that it makes this area feel much larger than it is. 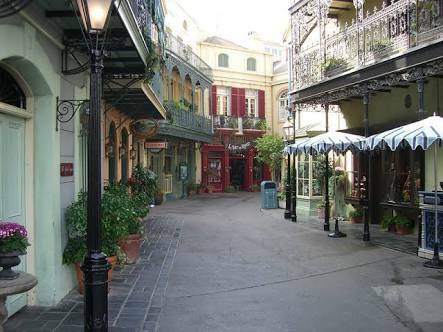 A tribute to 19th Century Louisiana, it offers a good variety of laneway style shops and restaurants, while jazz music tends to fill the air. New Orleans Square also has two of Disneyland’s most original and famous attractions; Pirates of the Caribbean and The Haunted Mansion. Provided you escape the dreaded pirates and spooky spectres, New Orleans is a nice place to be. (Except when crowded but we’ll get to that another time). A short stroll down river from New Orleans and you’re in Critter Country. Definitely a family oriented area with Splash Mountain flume ride the main attraction. 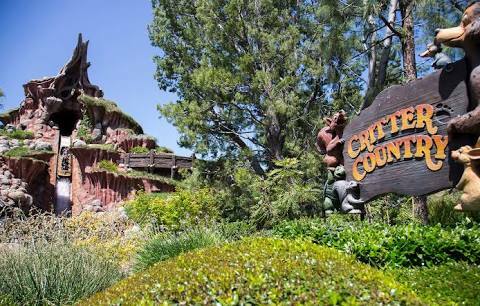 The area also consists of the Adventures of Winnie the Pooh ride and access to Davey Crocket’s Explorer Canoes (Technically part of Frontierland). Mickey’s Toontown opened in January 1993 and is inspired by the film, “Who Framed Roger Rabbit.” It is basically a bit of a cartoony, interactive playground, with lots of buildings to explore and levers to pull. It features the Gadget’s Go Coaster for the kids along with Roger Rabbit’s Cartoon Spin. It is aimed at Primary School aged children and is also great for letting them have an independent run around, while you grab a coffee. 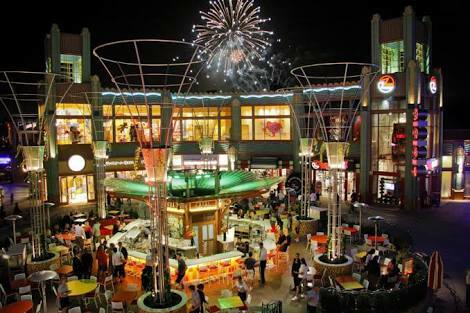 Downtown Disney District is not exactly part of Disneyland itself but is still relevant to include. 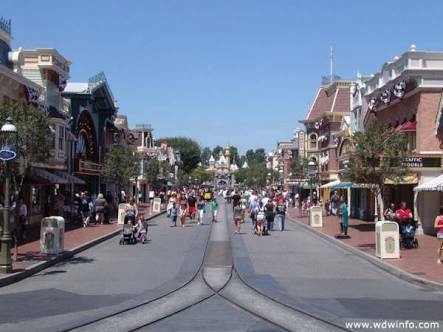 The area lies between the Disneyland Hotel and the main entry and features plenty of shopping and restaurants. It also has a cinema and a new bowling alley, similar to Strike Bowling here. The Downtown Disney area can be accessed for free and is good to visit on the day you arrive! 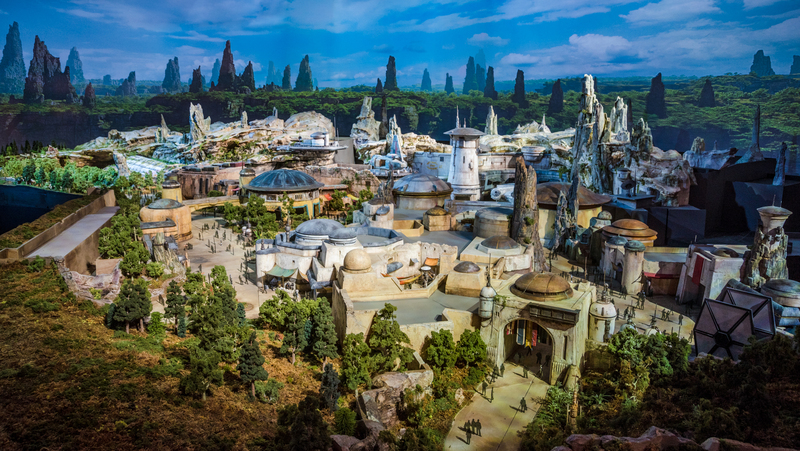 Star Wars Galaxy’s Edge is currently being constructed on the North Western side of the Disneyland Park. It will be a fully immersive experience with two new, state of the art rides. It will open in May 2019. Well there you have Disneyland in a nutshell. I will provide details of all rides and attractions a little later but for now it’s onto California Adventure!